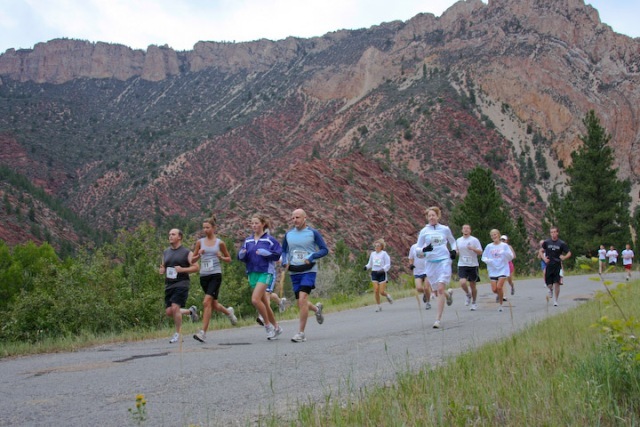 This year's race is slated for Saturday, August 11th and will again be held on the Sheep Creek Geological Loop. You can CHECK-IN at the Daggett County Court House on Friday from 5:00-7:00 PM,or on Saturday at 7:00 AM at the Navajo Cliffs Picnic Area. One hundred years ago Daggett County residents approved the formation of Utah's newest County, so come help us celebrate Daggett County's Centennial and run one of the most scenic courses in the U.S. Mail in Registration and Online Registration are now available. for more pictures & updates!